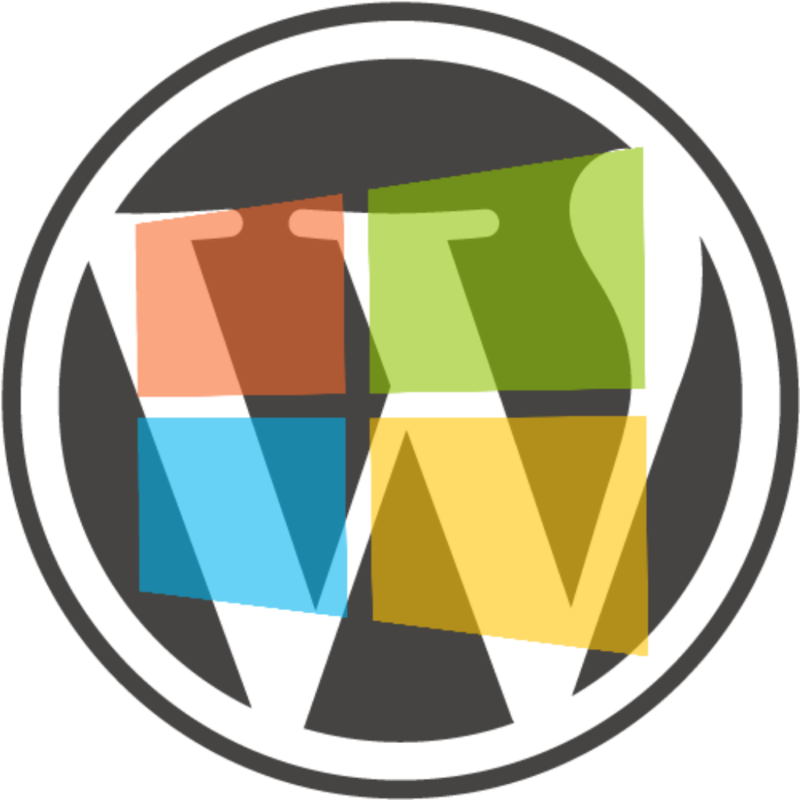 In this post I want to share how to develop wordpress on windows. Being able to develop wordpress on windows enables us to build websites while using Office for opening many business documents. 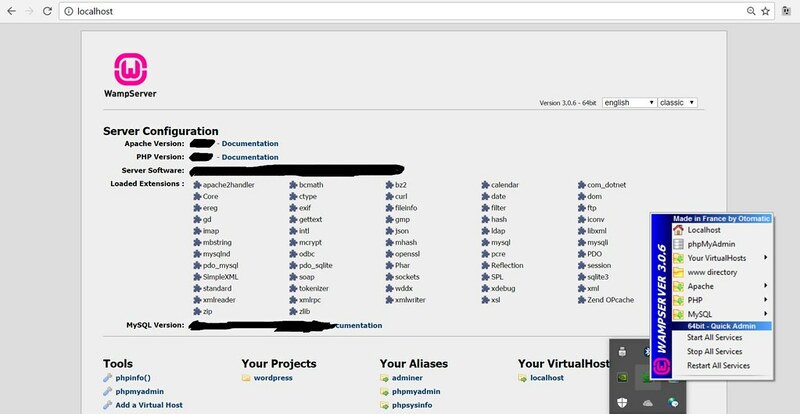 WAMP localhost page and app options. The installation is easy with one caution. 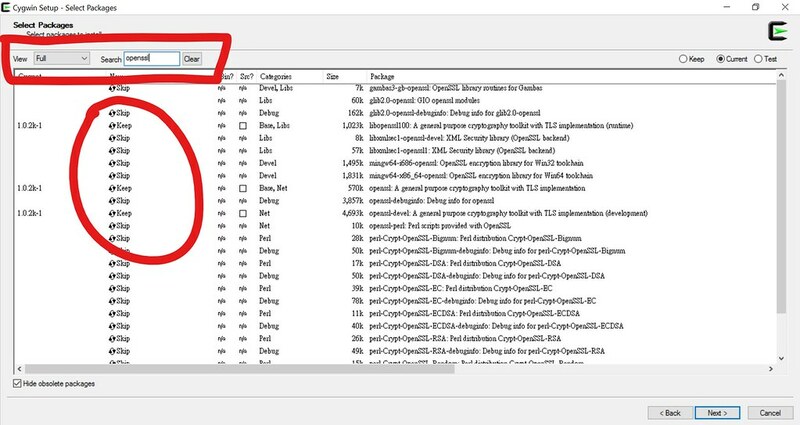 After downloading the .exe file and executing it, the software specifically displays warning that it requires specific Visual C++ redistributable packages before proceeding WAMP installation. Also for 64-bit windows it requires both 32-bit and 64-bit Visual C++ redistributable packages. Visual C++ requirements that you will see when running the installation file. Open Windows’ App & Features tab to check these packages. If any is missing, simply click the links to install them. editor ="C:/Program Files/Sublime Text 3/sublime_text.exe"
[Tutorial #5] Bring WordPress Live : Skip the apache2 configuration. A really nice text editor for wordpress development is Sublime Text. It has many standard features like code highlights as well as advanced features like auto-suggest. 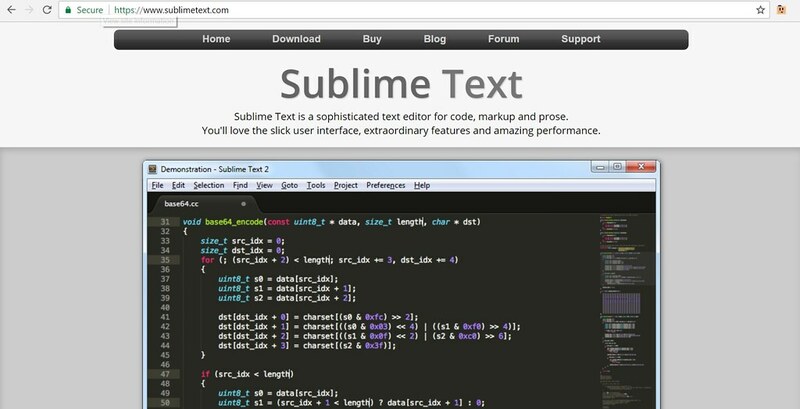 Sublime Text homepage with demo. Finally, to connect your windows to (Linux) server, a nice tool that imitates Linux terminal on Windows is Cygwin. Installing Cygwin is easy: simply executing the .exe file and click through the default settings. Yet you can’t directly use it, as the brand new Cygwin does not come with many utility commands as we have for a real Linux operating system. Change view to “Full”. Type in the commands you want at “Search”. The matched package list will appear below. To install one of them, change the “Skip” label to “Keep” by clicking on it once. Unfortunately there is no single formula to find all the packages. Search for the Internet for examples and do some trial-and-error. For example, search for “openssl” should give you setup with the ssh command to connect to online servers. Congratulation! Now you have all the elements to develop wordpress on windows! Building a local site on WAMP stack. Editing codes with Sublime Text editor. Access your online server via Cygwin.